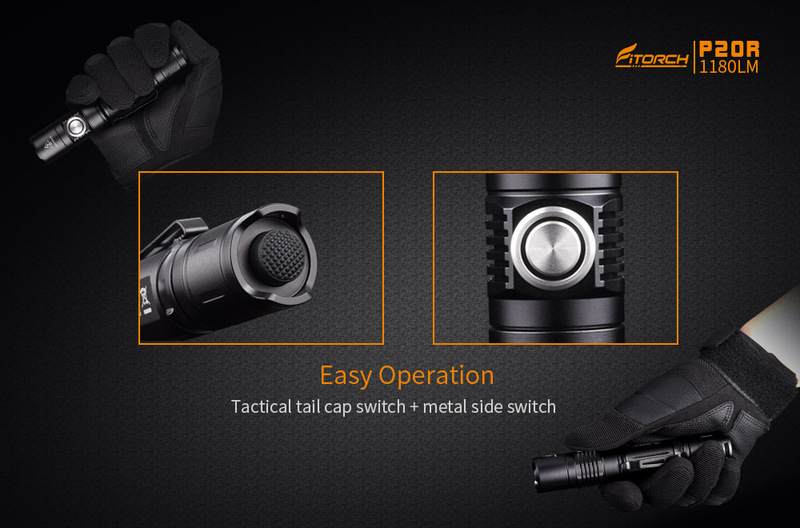 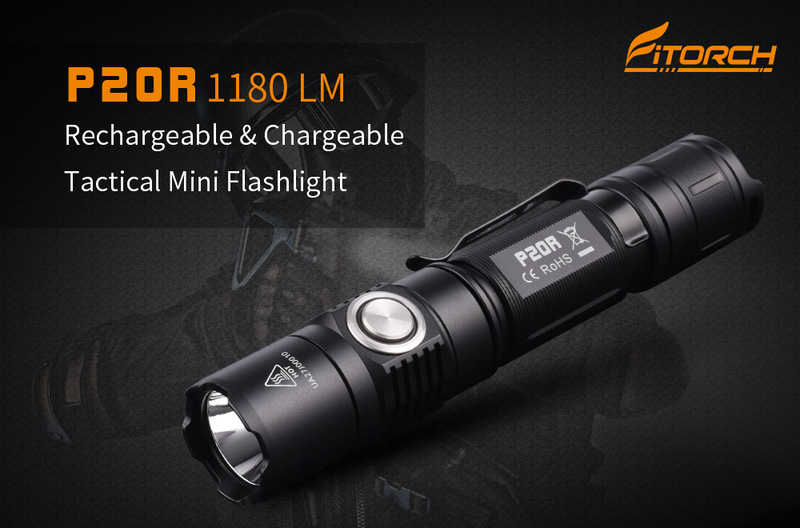 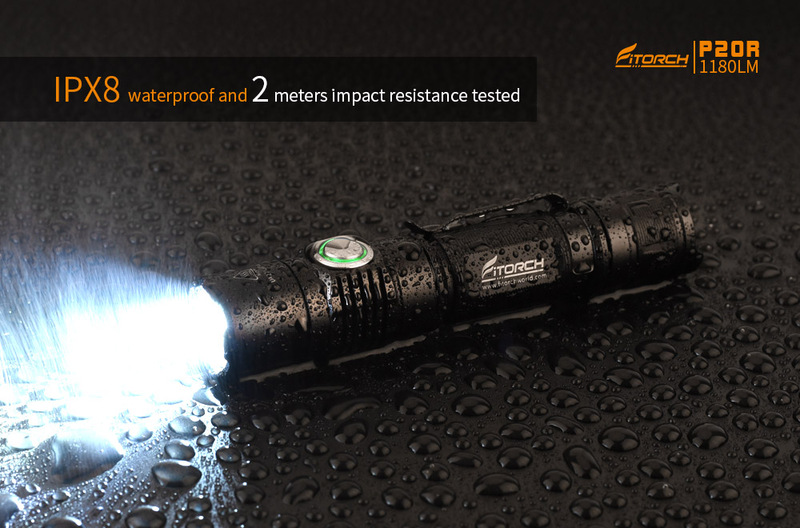 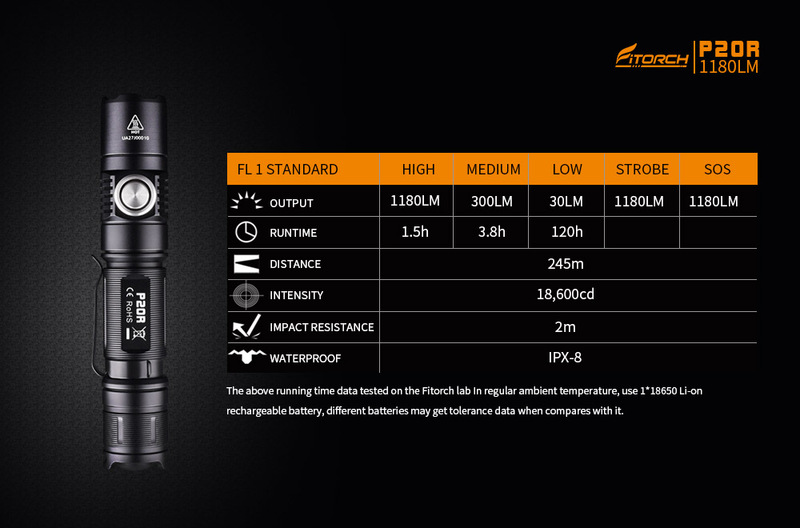 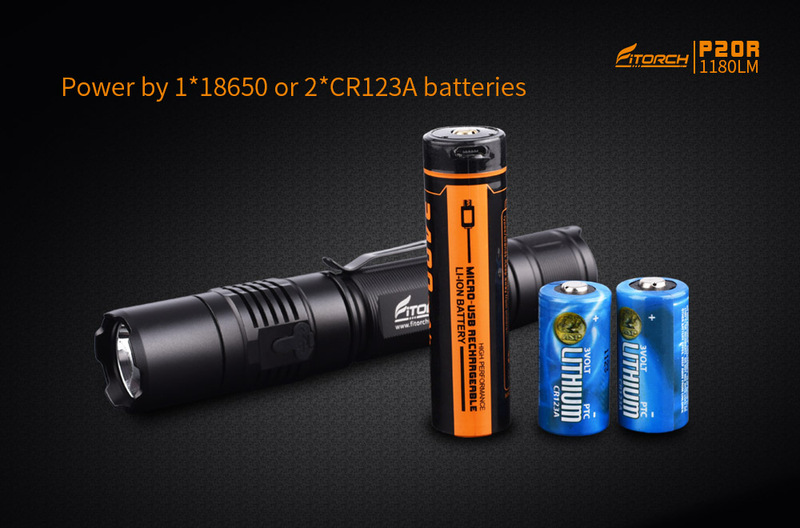 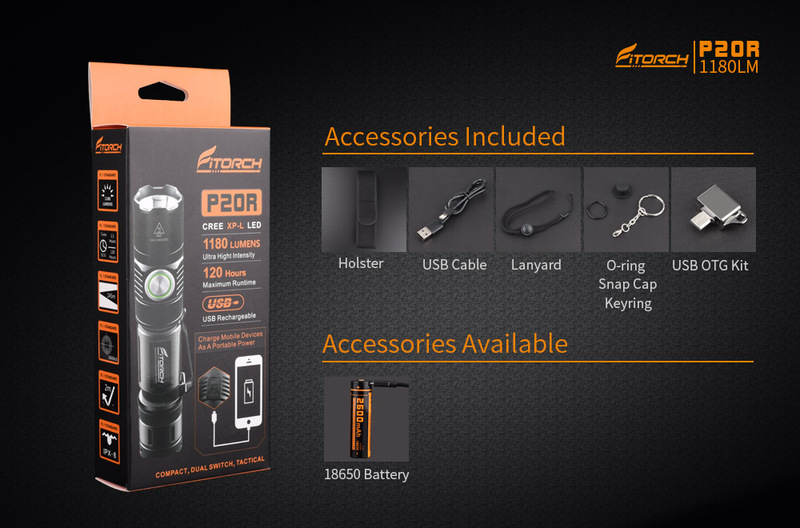 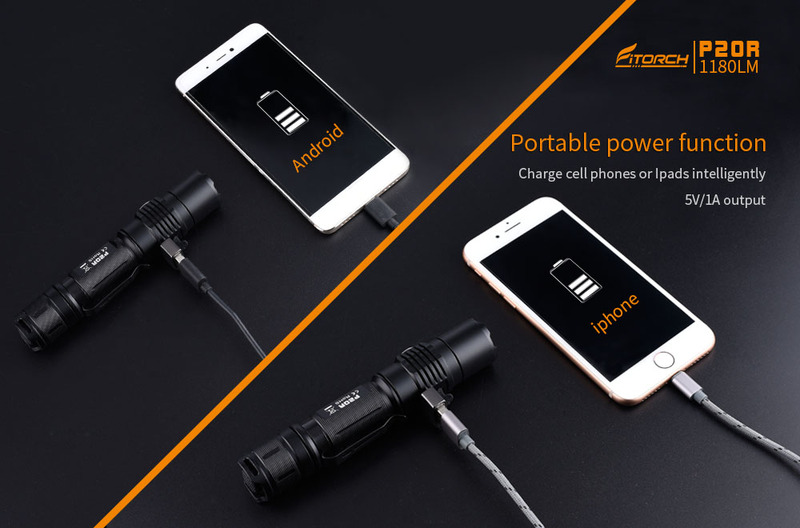 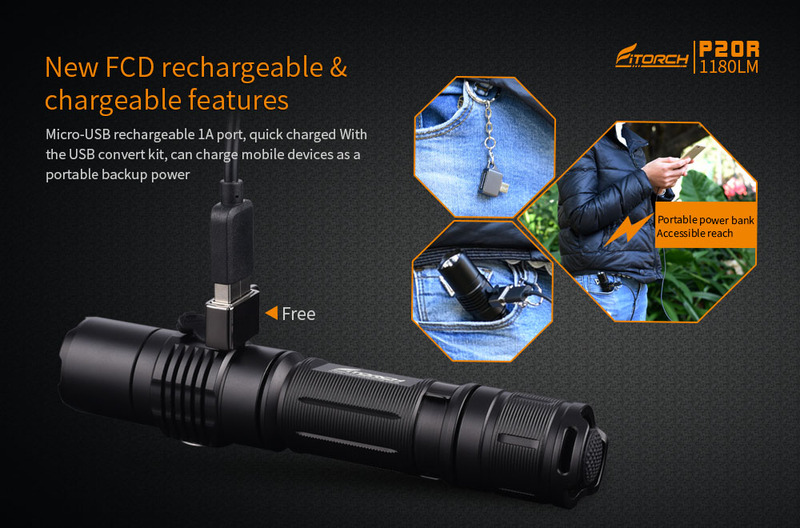 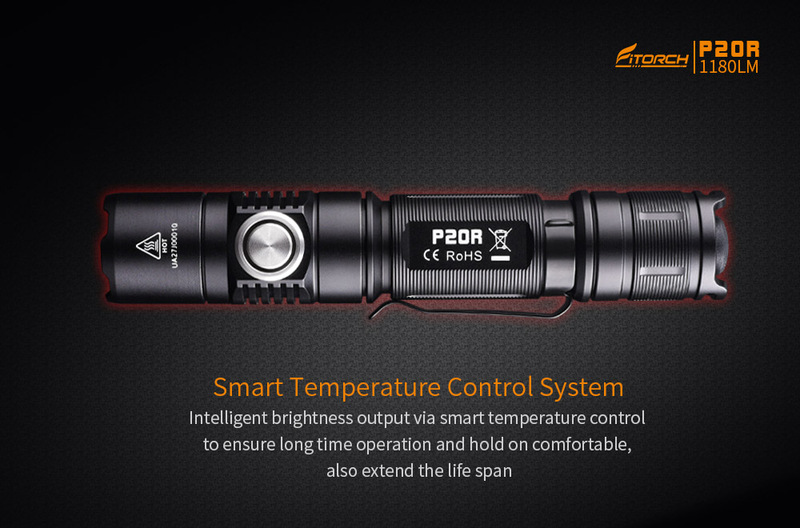 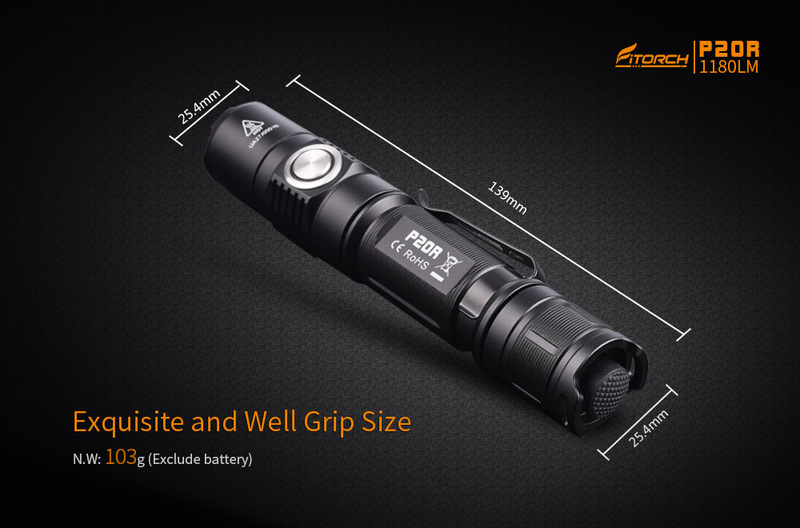 PR20R is a slender, compact tri-output, strobe and SOS tactical function, embedded USB recharge port and also can charge mobile devices as a power bank flashlight with a stunning 1180 lumens maximum output that can be used as a primary or backup light for patrol officers or a duty light for plainclothes officers. 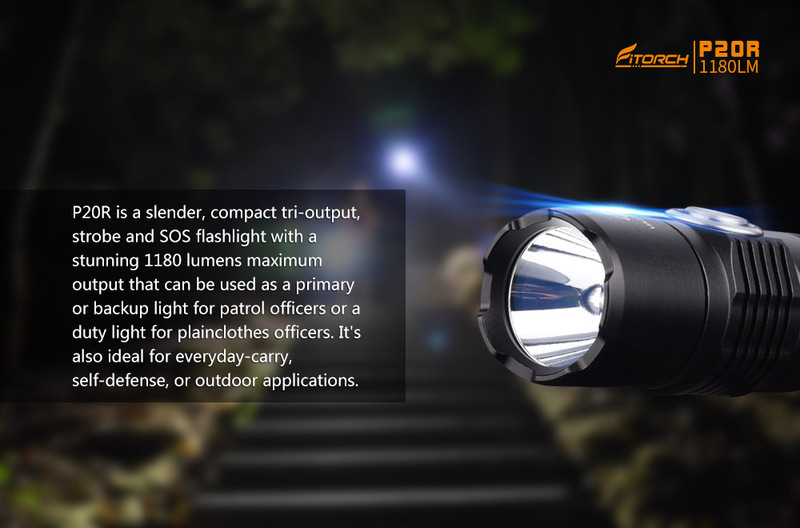 It's also ideal for everyday-carry, self-defense, or outdoor applications. 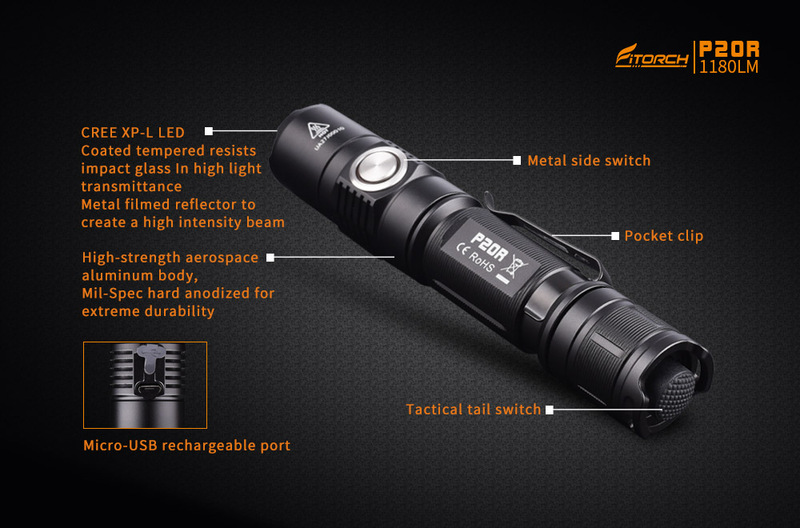 * High-strength aerospace aluminum body, Mil-Spec hard anodized for extreme durability. 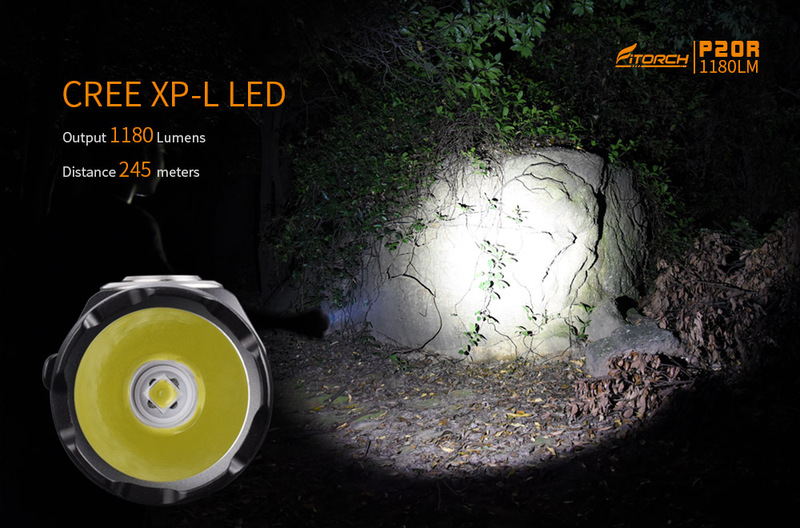 * Maximum output of 1180 ANSI lumens. 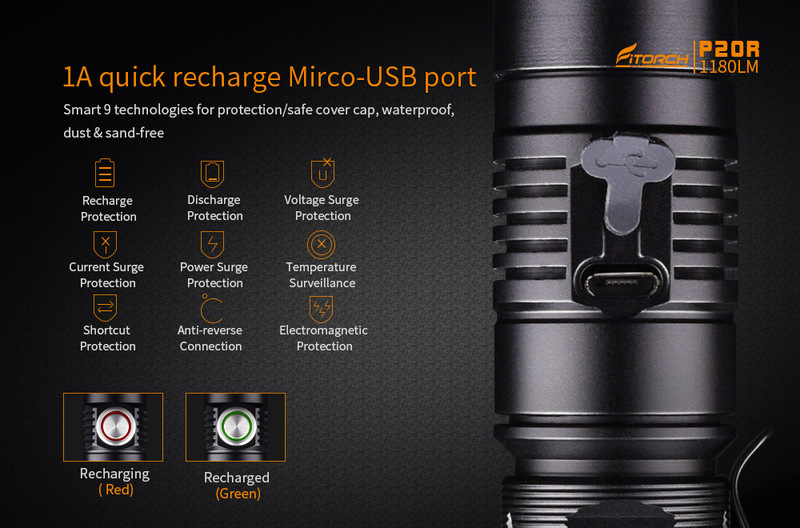 * Rechargeable Micro USB port. 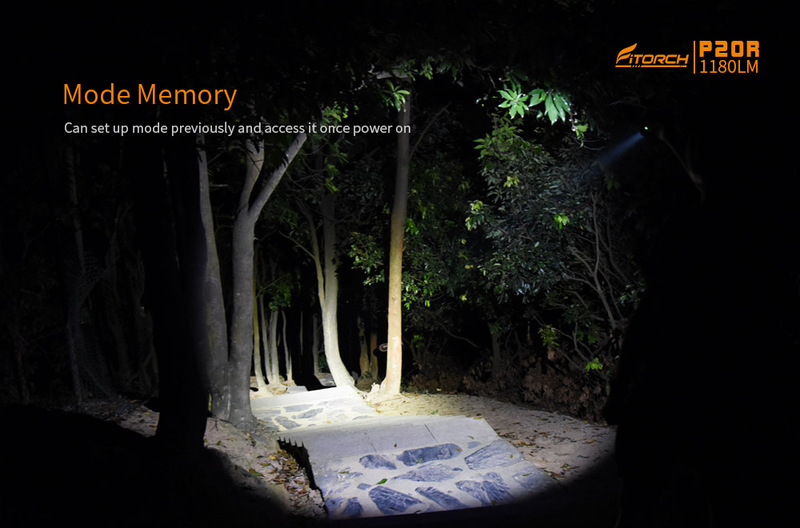 * Mode Memory can set up mode previously and access it once power on.